Predominantly Catholic, so attended St Ignatius Church in Petersville. The other religions probably went towards Blissville?? Enniskillen named by Bernard McAloon - Naming of the rail station and a personal history of the man. 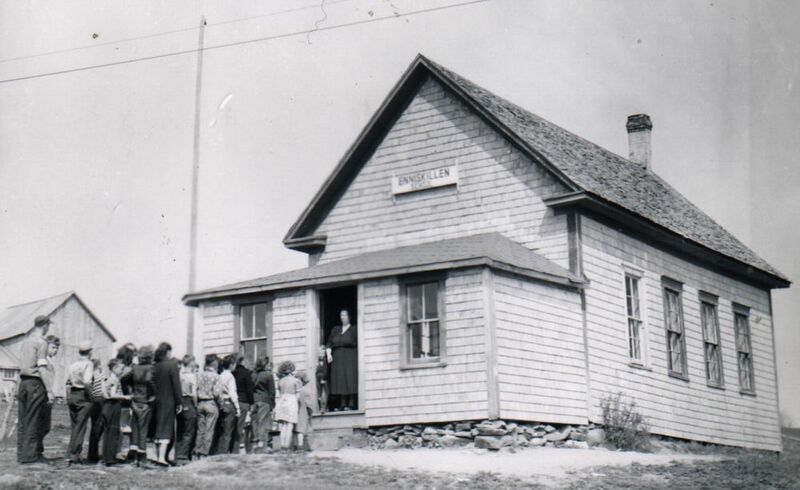 Photos of the last classes held in Enniskillen School | older grades, ca. 1952-3. Photos of the last classes held in Enniskillen School | younger grades, ca. 1952-3.